Crowds gathering in the morning, waiting for the café to open. 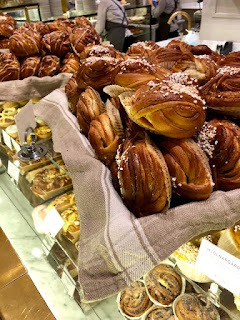 As Sweden is one of the top 10 coffee consuming nations per capita in the world and "fika" (to socialize over coffee and pastries) is a national pastime, you can correctly assume that there are cafés all over Stockholm. 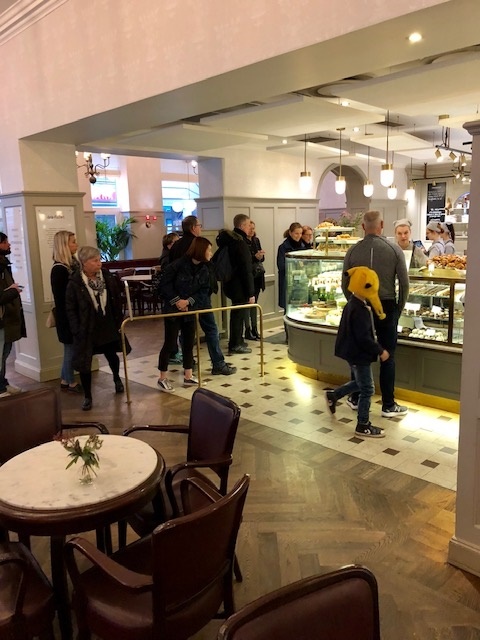 Södermalm, the area where the Hotel Rival is located, is especially rich in cafés with one on almost every corner... including our own Café Rival. 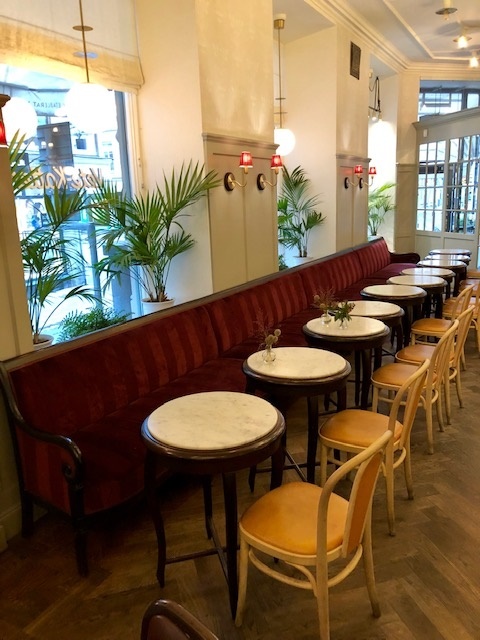 Some cafés are well-known because of the quality of their coffee (roasting their own beans) or because their atmosphere is especially conducive to meeting friends for a fika. 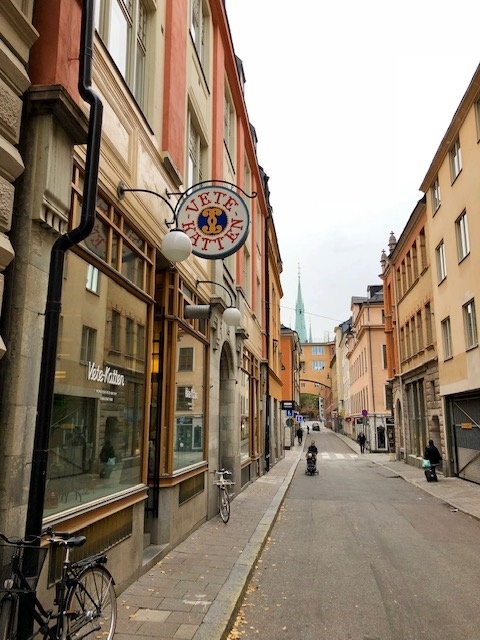 Other cafés have just become famous through time and tradition; meeting places for generations of Swedes. 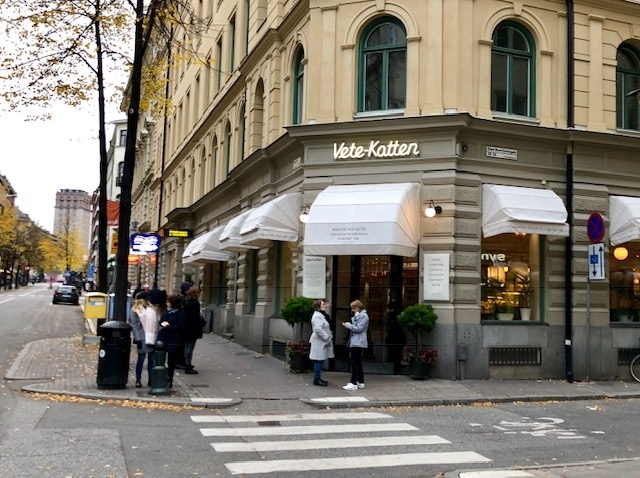 One of Stockholm's most famous cafés is Vete-Katten. It is famous enough that I get asked by hotel guests about it, even though it is located in the downtown area and not in our neighborhood. 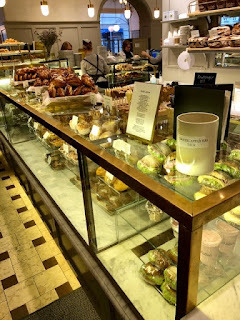 In fact, this past weekend I was there to pick up a cake that a guest had specially ordered for a birthday celebration, which made me think that the café would make a good blog article. 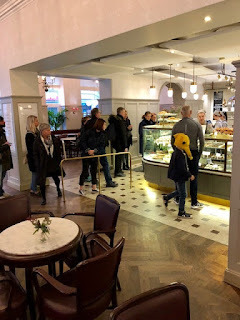 They do indeed have a wide variety of cakes as well as cinnamon and cardamom buns (Swedish delicacies), biscuits, bread, cookies and much more, all baked on the premises. They do have gluten/lactose free and diabetes-friendly options as well! If you want something more substantial than a fika, then they also have simpler lunch options (salads, soups, baked potatoes, etc.). The name "Vete-Katten" has a fun background story. Back in 1928, someone asked the proprietress, Ester Nordhammar, what she was going to call her soon-to-be-opened café and she answered "det vete katten". This is old-timey Swedish that translates to "only the cat knows", similar to the English saying "God only knows". 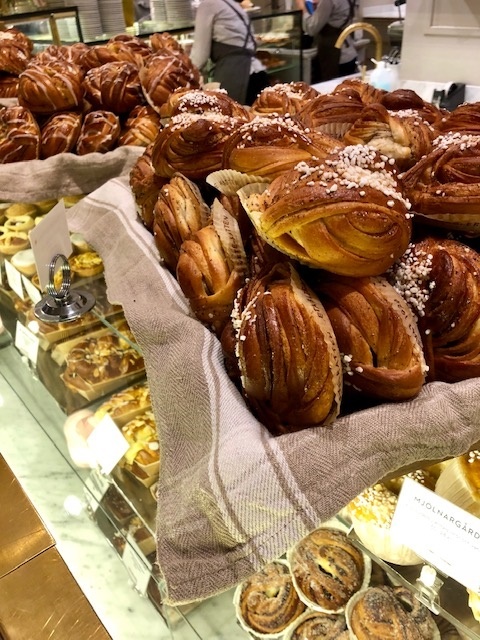 As vete also mean wheat in Swedish, it became a play on words and stuck as a good name for a café/bakery. Its popularity has allowed Vete-Katten to open cafés (with the same name) in several new locations, including the Central Train Station, Åhlens department store and Östermalms Saluhall (food market). But the original Vete-Katten, on Kungsgatan, remains the most popular... especially for visitors and traditionalists. The easiest way to get there from the Hotel Rival is by subway, three stations away to the Hötorget on the green line from nearby Slussen. Otherwise, it is just a 10 minute taxi ride.